Home / News / R3: NI Championship heads to Strabane and Donemana for round three! 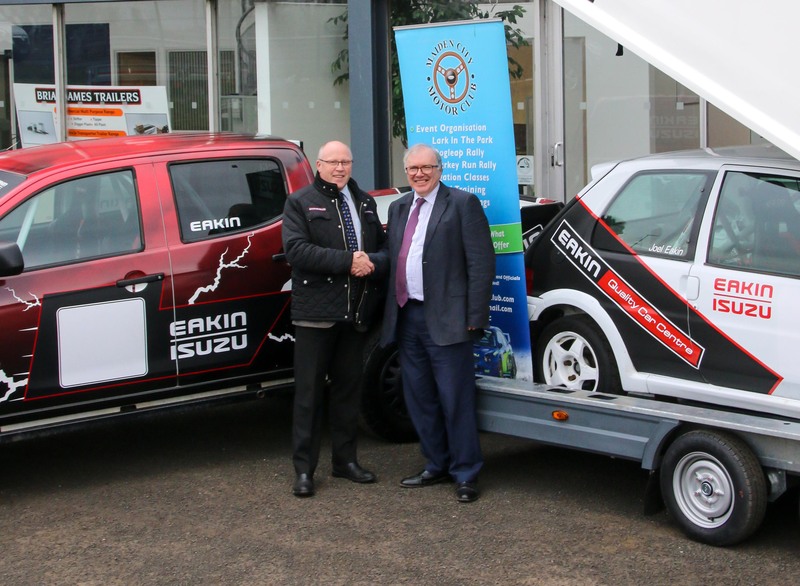 The McGrady Insurance Motorsport UK Northern Ireland Stage Rally Championship bursts back into action this Saturday (06 April) with the Strabane based Eakin Bros Brian James Trailers Stages Rally! Closed roads in the Donemana area will reverberate to the sounds of high-powered rally cars as almost 100 crews battle for the rally spoils. Competitors will tackle a total of six stages (two stages completed three times) with service based in Strabane’s Canal Street area. Millions of pounds worth of rally cars will be competing for the spoils and an influx of spectators are expected to descend on the area, giving a massive boost to the local economy. Reigning champions Derek McGarrity and Paddy Robinson will lead the field over the start ramp in their Fiesta WRC. They are among the favourites for victory and it will be the first event of the year for navigator Robinson. The Letterkenny man is returning to action after his wife gave birth to a baby boy in March. He’ll be aiming to help McGarrity to a record ninth NI title but it’s been a fraught start to the season for the champion. Retirement while leading the opening road put him on the back foot and although he won round two, the Glengormley driver still has some work to do as he holds a lowly ninth overall in the championship race. Instead, the father and son team of Derek and Mark McGeehan share the championship lead with Stephen Wright, who has opted to miss this event. 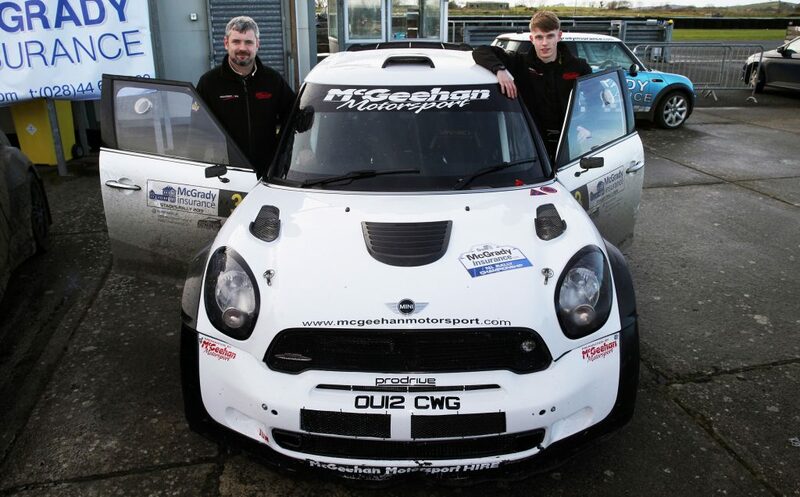 Wright intends to bounce back into action at round four’s Down Rally in July so that gives the McGeehans an opportunity to make the number one position their own if they can secure another strong result in their Mini WRC. They will be second on the road ahead of the Hyundai i20 R5 belonging to Alan Carmichael and Ivor Lamont. Ballymoney’s Carmichael claimed a top-five result at round one but missed the second event so he’s just outside the top 10 in championship terms. Young gun Callum Devine will be one to watch in his Fiesta R5. 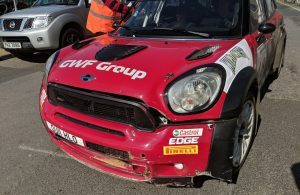 The 24-year-old from Feeny, just 12 miles from Donemana, took sixth overall at the recent West Cork Rally, which was a round of both the Irish Tarmac and British championships. He and navigator Brian Hoy are both ‘match fit’ ahead of what could almost be classed as their home event. Manus Kelly and Donall Barrett are multiple Donegal International Rally winners and have decided to join the fray. The Letterkenny based crew are using the opportunity to get more ‘seat time’ in their Hyundai i20 R5 having had a troubled started to their Irish Tarmac series campaign. Strabane’s Martin Cairns will have the benefit of Donemana’s Peter Ward calling the notes in his Fiesta WRC while Frank Wray and Joe McNulty are another WRC powered crew at number seven in their Impreza. A pair of Fiesta R5 crews follow with Sean Devine at number eight ahead of Mark Massey at nine while Kevin Eves completes the top 10 seeds in his potent two-wheel drive Toyota Corolla. Other notable names outside the top 10 seeds include Nigel Feeney (Mini WRC) who is fifth in the series standings and James Leckey (Subaru Impreza) who holds sixth. The event will mark Kevin Eves’ first foray into this year’s NI Championship scene. 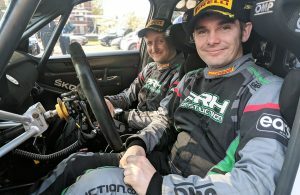 He’ll be taking the fight to the likes of Draperstown’s Camillus Bradley, who finished second overall in the series a few years ago, as well as current 2WD championship leaders James and Heather Kennedy. In fact, the 2WD category is very strong with a host of drivers capable of taking the spoils. They include Vivian Hamill, Mickey Conlon, Brendan McDaid, Barry Morris, Kyle White and championship sponsor, Fintan McGrady. The event gets underway around 10am on Saturday morning. Competitors will tackle two stages each run three times on roads closed in the Donemana area with service after stages two and four in Strabane. Live results will be available from www.rallyscore.net. The first car is due at the finish ramp shortly after 4.30pm when the winners will be crowned. Event programmes containing stage maps and times will be on sale in shops near the area. More information will be available online at fb.com/nirallying. 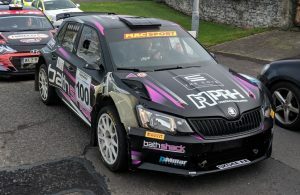 STOP PRESS: In a last-minute addition to the entry list, Cookstown’s Philip Allen is set to compete in his Hyundai i20 R5 while Desi Henry, who narrowly lost out on the 2018 title, will make a return in his Skoda Fabia R5! ← Previous Story SS6: McGarrity Wins from Massey, Biggerstaff Coasts Over Line With Broken Gearbox!